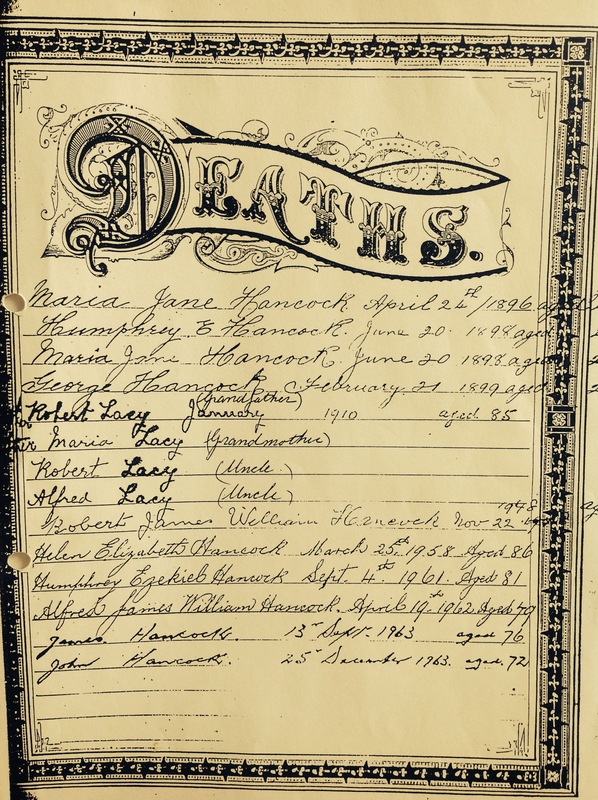 Robert William LACY is my 3rd Great Grandfather. He is related on my Mum’s paternal side of the family and, well, he just looks like a big character with a lot of stories to tell! 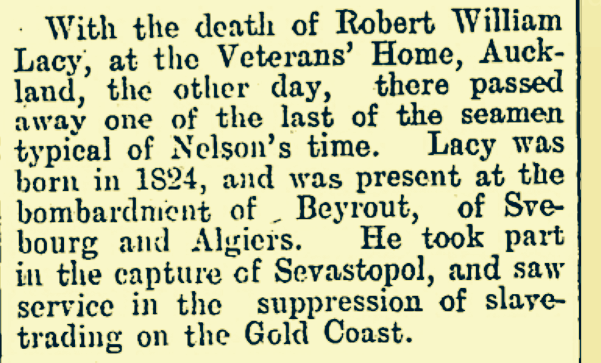 From previous research I know that Robert William Lacy was born 1824 in Devon, UK. I know this from census documents where he has given his age, but also from a newspaper clipping of his death in New Zealand (from the New Zealand website “Papers Past”). From the newspaper clipping it was clear that this was a man with an interesting naval career. So I’ve been on a mission to find out what his naval career was, and what his medals were for. I do not know where those medals are now. From my knowledge there was no next of kin around at his time of death and he was living at the Veteran’s home in Auckland. 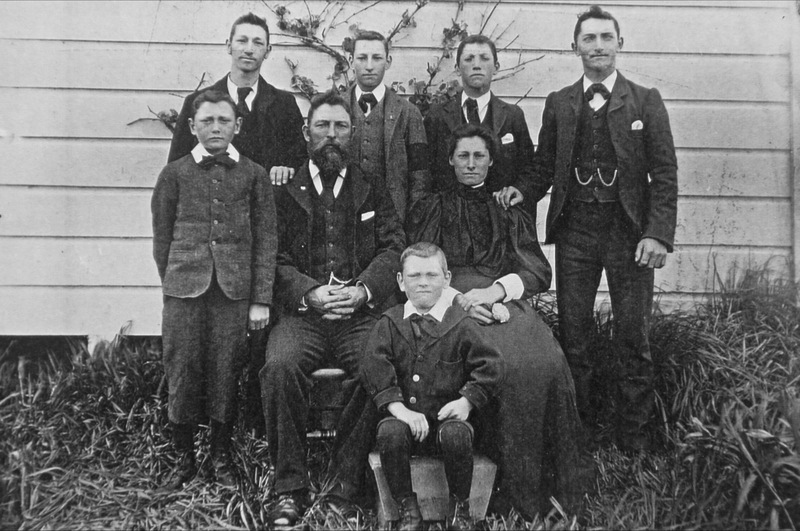 Robert’s wife Maria (my 5th Great Grandmother) had died seven years earlier (1903) in Ashurst, New Zealand. We know she is buried there, but have not visited or seen the actual grave. Robert is buried in Waikaraka Cemetery, Onehunga, Auckland, New Zealand. link to find-a-grave I’ve never visited the cemetery but a memorial was erected to commemorate the veterans who “fought in defence of the Empire and died at the Veteran’s Home”. Robert’s death certificate calls him an “Imperial pensioner”. 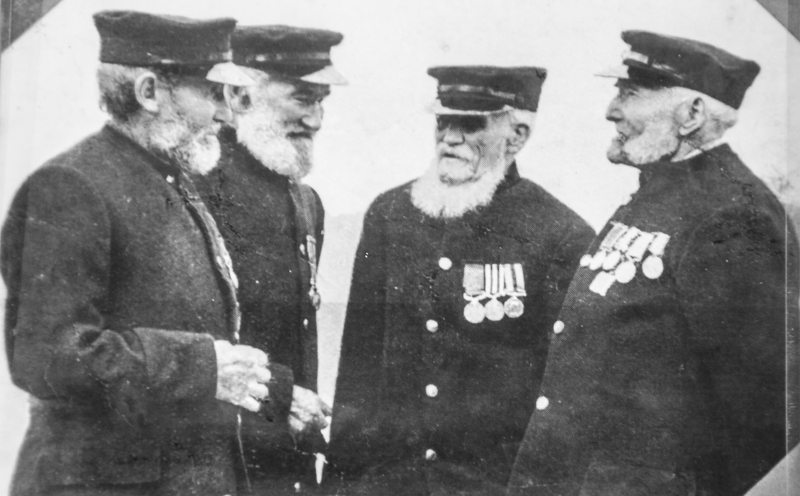 Robert William Lacy with other Veterans – 5th Great Grandfather Lacy is on the right. Prior to 1837 there was no registration of Births, Deaths & Marriages in England, so the next bit of research I need to do is to see if I can find him in the Parish records for Devon where he says he was born. This morning I checked the parish registers on findmypast.co.uk and I have found Robert’s baptism recorded. He was baptised in the Parish of St Andrew, Devon on 30 September 1824, son of William & Catherine who were living in Stonehouse. I have noticed now that he was baptised with an ‘e’ in LACEY. Frankly this additional ‘e’ is frustrating – on the other side of the family (Dad’s side) we have LACEY with an ‘e’, but Mum’s side of the family it is more often than not spelt LACY with no ‘e’. However this is the way it is in research, old documentation can often have spelling mistakes or different spelling. In some cases this can be a transcription error but it can be just spelt different based on what the person writing it heard, and it may never have been checked. 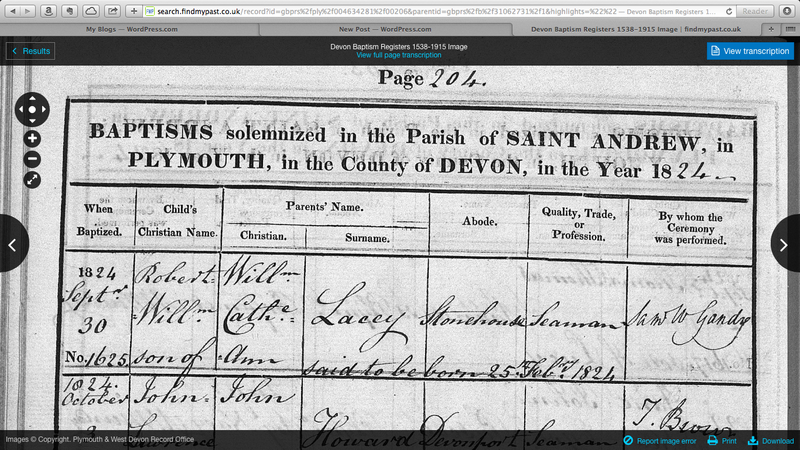 Parish Records from Saint Andrew, Plymouth in the county of Devon in 1824. It was only last Saturday that I was discussing Robert Lacy at National Archives with a group of genealogists. I had found through census documents and birth/death/marriage certificates that Robert was not only in the Navy but was later a coastguard. All I knew of his coastguard career was that he was stationed at Beachy Head when the 1861 census was taken. I opened the record set and typed in Robert Lacy – I got a hit immediately. It’s important to be sure you have a match when researching, as so many people out there had the same name, from the same area, at the same time!. I knew immediately it was him as the ship names & coastguard entries matched to census papers I’ve researched and hold for him. Interestingly his name was again spelt LACEY with an ‘e’. So now I can start to put together the picture of his life, what he did and where he went. Robert started his service at the age of 16 (20 Dec 1837) and he first served on the “Megaera” – his last date of service was 31 May 1865 when he was serving as a Coastguard. Back to my earlier note about a discussion with a group of genealogists at The National Archives last Saturday. Well one of them (Richard S) has been an absolute star this week and has provided me with information on the Coastguard stations that Robert was at. But first his naval career – this is where his medals would have come from. Following is a list of the years he served and the ships he was on. Dec 1837-Feb 1838 – HMS Megaera (1837) was a wood paddle sloop launched in 1837 and wrecked in 1843. Mar 1838-Feb 1842 – HMS Hastings was a 74-gun third rate ship of the line of the Royal Navy. March 1842-Oct 1843 – HMS Thunderer (1831) was an 84-gun second-rate launched in 1831, which fought in Syria 1840. May 1844- July 1848 – HMS Collingwood (1841) – An 80-gun second-rate battleship, converted to screw propulsion in 1861, and sold in 1867. March 1850 – Aug 1850 – HMS Agincourt (1817) was a 74-gun third-rate launched in 1817. She was used for harbour service from 1848. Aug 1850 – Jan 1851 – HMS St George was a 120 gun first rate, launched in 1840 and sold in 1883. Jan 1851 – Jan 1855 – HMS Sampson was a wooden paddle frigate launched in 1844 and sold in 1864. So I matched up these details up with another search in the Ancestry databases – this time the Naval Medal and Award Rolls, 1793-1972). I found the following medals (quite exciting). Unfortunately none of the photos we have of Robert, have enough detail to be able to recognise the medals on his chest. It would be amazing if these medals had been passed down through the family, but I’m hoping that maybe he was buried with them – that would be a fitting choice. Naval General Service Medal whilst serving on the HMS Hastings in 1840-41, for the campaign in Syria. 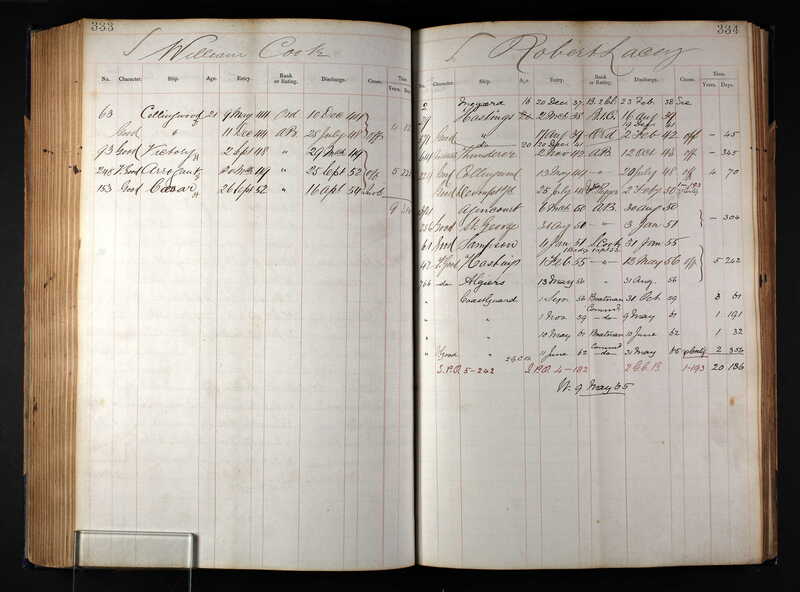 In September 1856 Robert’s service record shows him as a boatman on Coastguard service. The record doesn’t show where he was stationed, but thanks to Richard, mentioned above, he’s found Robert in records that he has access to and sent me a copy (thanks again Richard!). This is what I can make out so far. 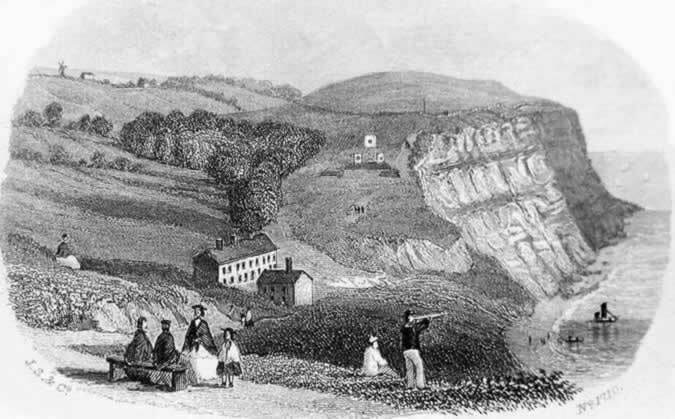 In the 1861 Census the family are living at Beachy Head. Richard was not able to find a Beachy Head station, so I’m not sure if this is somehow related to his time at Birling Gap (according to the records he was moved there in 1859). In May 1865 Robert William LACY left the service with a Long Service Pension. The next time I find him in the records is in the 1871 Census living at 17 Beresford Street, Woolwich – with his wife and 4 of his children (Maria Jane, John Henry, Emma & Alfred) – he is listed as a Greenwich Pensioner. Henry appears to be missing from the family, he was in the 1861 census, but perhaps he died before 1871. I cannot find any further records for Henry since 1861. 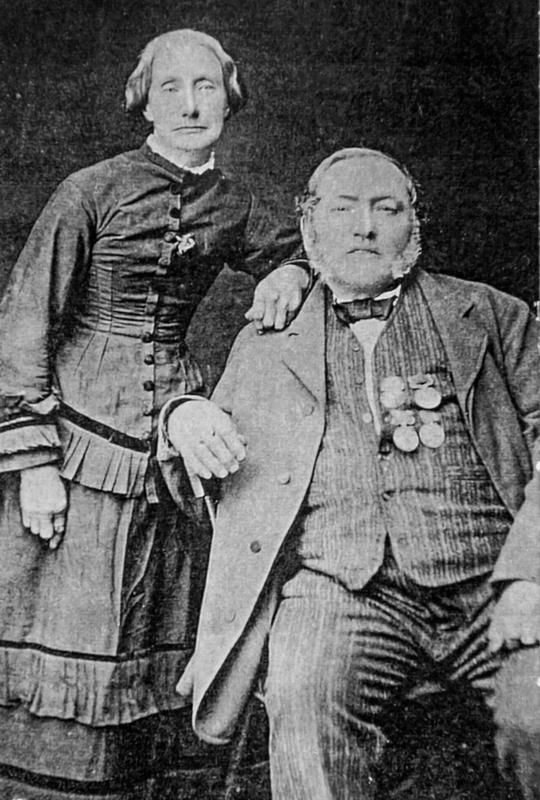 In 1874 at the age of 49 Robert William Lacy, his wife Maria, and 3 of their children (Robert, Emma & Alfred) left England for New Zealand. 2 years prior in 1872 John Henry had sadly died when he was only 16. 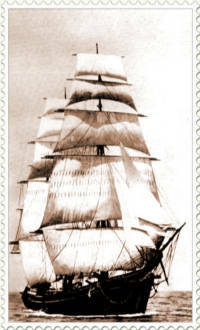 The family sailed on the “Golden Sea” leaving London 29th January 1874 – arriving Wellington 1st May 1874. Strangely they missed their daughter Maria Jane’s wedding by about 2 weeks, but a year later in 1875 Maria & her husband Humphrey Ezekial HANCOCK also emigrated to New Zealand. Their eldest daughter Caroline had married William DAVENEY and also later emigrated to New Zealand in 1879. Sadly that same year Emma, who had since married, died of Typhoid Fever in New Zealand aged 20. At this point the Lacy’s were living in Feilding, New Zealand. It appears the Lacy’s lived in this area for the next 20 years – Robert’s wife Maria then died in 1903. At this time only 2 of their 8 children were still alive – Robert William Lacy (Jnr) who I’ve never found a marriage for, and Alfred James Lacy who was married to Florence BIRKENSHAW and died a year after his father. Robert William LACYJnr first born of Robert William LACY and Maria PIPER outlived all his family and died aged 74 in Greytown, New Zealand. … copy of a page from the family bible. All good research starts with what the family knows!